The CFDA, or the Council of Fashion Designers of America, is a non-for-profit trade association dedicated to supporting American fashion designers. The organization holds an awards night to recognize the successes of designers and businesses within the past year. Although this event focuses on designers, many other musicians, models and celebrities are in attendance for their influence on the public’s perception of fashion. Ink takes a look at their ensembles for the night to determine who really knew about style. Singer and composer Janelle Monae made a statement in a short embroidered cape. Capes at red carpet events provide regality; however, the shine of gold and crispness of the white further amplified the ensemble. This is the proper way to wear a short dress on the red carpet. Model Coco Rocha has been to her fair share of fashion events. The best part of this look was the choice of makeup with the dress. The makeup could have appeared too harsh to some, however, the loose waves of hair and low bun gave the look the softness it needed to be cohesive with the dress. The sports luxe trend has recently infiltrated ready-to-wear. 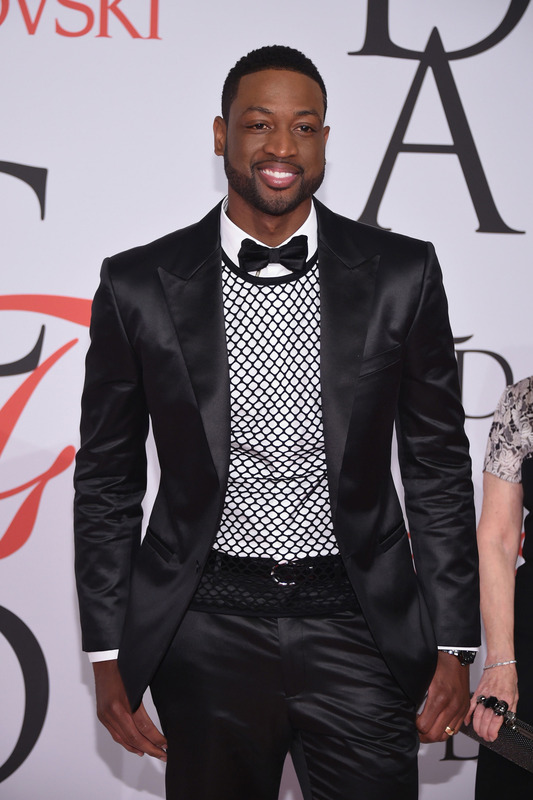 Who better to exhibit this trend than a true athlete, Dwyane Wade? His suit had a bit of shine and fit him well, the mesh shirt over his button-down shirt added a bit of a twist to a true classic. Some attendees decided to go modern like creative director, stylist and fashion consultant Ada Kokosar. She chose to wear shimmery pants but the graceful layers of white tulle subdued the shine. The overall ensemble was fresh and appeared effortless. There were very few people who dressed edgy, model Hanne Gaby Odiele was not one of them. As a model she knows that fashion is about pushing boundaries, and she chose to do just that by wearing leather shorts to a black tie event, very uncommon. She then paired the shorts with a sheer dress, a nod to recent red carpet looks. Many celebrities have been appearing in completely sheer gowns but this is the first time that the intention was not overtly sexual. The result was classy, edgy and frankly refreshing. 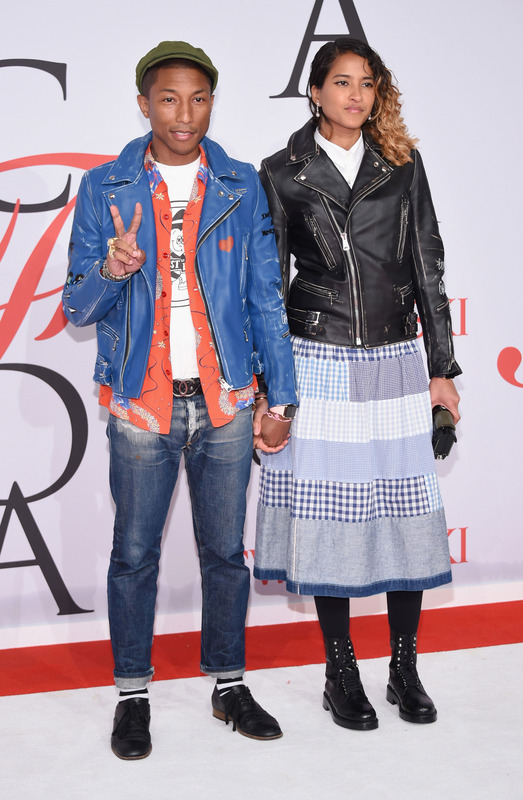 Pharrell Williams and Helen Lasichanh were a very disappointing pair. They looked as if they had originally planned to go to the mall and went to an awards ceremony instead. Both looked out of place and out of touch with recent fashion trends. Model, Binx Walton is a newer member on the fashion scene and may need time to develop her own taste. The outfit was modern and hinted at the sports luxe trend but the horizontal panels sectioned her body in a very unflattering way. Though this was not the worst look of the night, she could have done better. Similar to Pharrell, creative director at Alice + Olivia, Stacey Bendet appeared too casual. The pants looked like dyed denim, and it appeared like either there was too much thought or too little thought put into her ensemble. Then, there were some whose goal was to end up on this end of the list. “The Fat Jew” you are welcome. There is now proof that a Louis Vuitton bag does not solve all of your problems. Some celebrities seemed to go back in time, jewelry designer, Ofira Sandberg’s ensemble was reminiscent of the early 2000s. There were several shades of green in this outfit and none of them effectively worked together. The hood was also a bit awkward and sad looking. The most successful looks of the night were clean, modern and on trend. There were many who faltered in their outfit choices, and clearly appeared to be trying too hard. Despite the good and the bad, none of the ensembles were especially groundbreaking or noteworthy. Needless to say, Rihanna’s spark was truly missed.